Hi all, quick note to say that Joshua and Jamie will be skipping a week this week, with work commitments getting in the way of our recording. But fear not, we’ll be back soon! 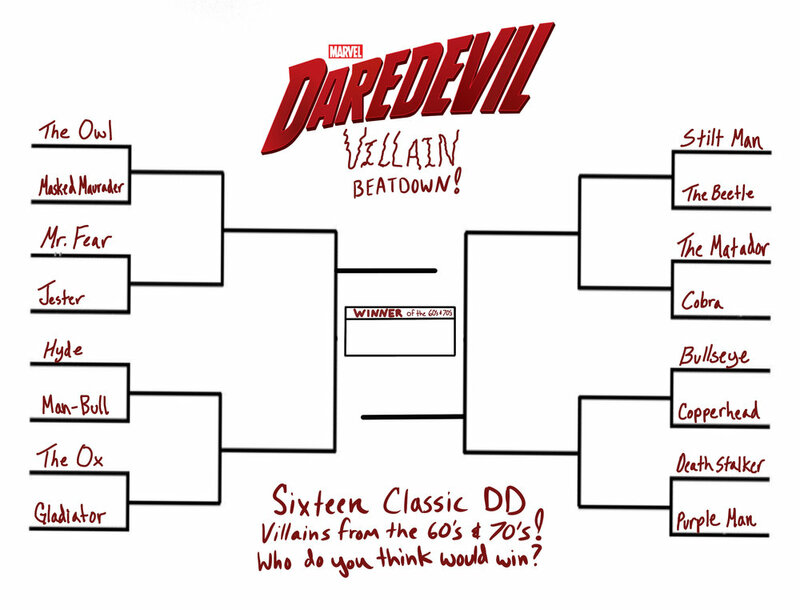 We are planning on doing a fun little feature over the next three episodes; a March Madness bracket for the villains in DD’s life, 60s and 70s edition! You can download a copy of the bracket and play along at home, by saving a copy of the image posted below - the idea is to pick the winner in a one on one battle for each grouping of villains, the winner progressing to the next round. Remember, you are picking who would win in a battle, not which one is your favorite baddie! Have fun, and we’ll see you next week!